Earlier this year, BNY Mellon launched a FX prime brokerage service, enabling clients to trade and margin their FX with a global custodian. SQM, which operates as a frontier markets-focused hedge fund and manages over $680 million, selected BNY Mellon following a competitive tendering process. 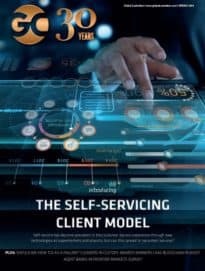 BNY Mellon stated its technology emerged as the ‘best choice’ to provide real-time access to information, customisable reporting and historical account data to support SQM’s demands. “Throughout the entire selection process, BNY Mellon demonstrated a strong expertise in emerging markets custody and FX services, coupled with an unwavering commitment to client service. Their well-established track record delivering a dedicated, high-touch, service was a major factor in our decision to select them as our custodian,” said Donald Savage, partner and chief operating officer, SQM Frontier Management. The mandate encompasses its full US custody offering, as well as accounting, performance measurement, capital management, liquidity and capital markets services. Its FX services also leverages the bank’s pool of liquidity, collateral and funding capabilities. “Our selection [by SQM] is a recognition of our ongoing commitment to our clients, our prime custody offering and a continued focus on technology innovation,” added Scott Kern, global head of prime custody services, BNY Mellon.